Can Rural Clinic Consolidation Provide Better Healthcare Access? With rural healthcare routinely in crisis, clinics in Kansas hope to battle back and provide much needed care for those in need through the merging of two clinics. NPQ has previously reported on the dire state of rural healthcare, noting 11 hospitals a year are closing on average. The closures have a particularly devastating impact on women. Late last year, rural Mercy Hospital in Independence, Kansas, a community of nearly 10,000, became the 56th hospital in the U.S. to close since 2010. The closing of Mercy means Independence and the surrounding farm communities are left with no emergency services. 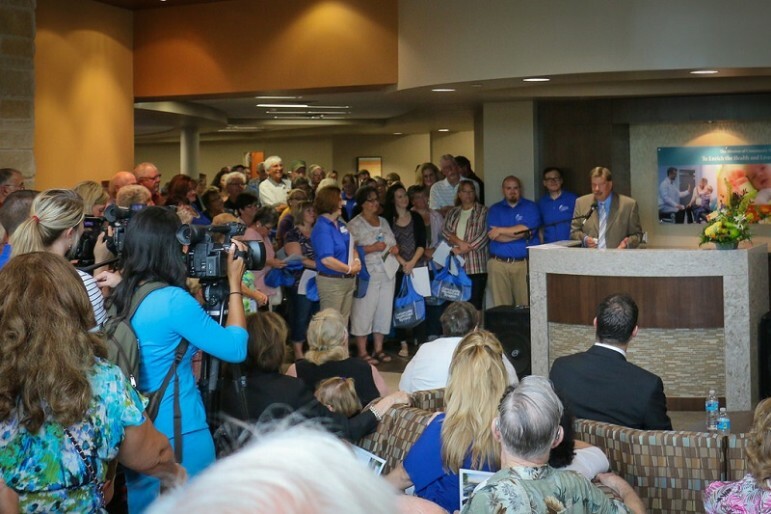 The merger of The Washington Clinic and Family Medicine of Washington County in north central Kansas is a welcome sign—it means a community with few resources will still have access to basic care. Through clinic consolidation, Washington County residents will have access to the same healthcare providers, as well as a newly-hired nurse practitioner. The fundamentals of the clinic, including location, doctors, and telephone numbers, won’t change, and there is hope the clinic will be able to provide more modernized care. The creation of the Rural Health Clinic in Washington County emphasizes the importance of due diligence in surveying the community’s wants and needs in order to establish the level of trust needed to create a successful partnership for providers and patients. Kansas turned down the Medicaid expansion package under the Affordable Care Act. (NPQ’s Rick Cohen and Michael Wyland have debated Medicaid expansion, each devoting an article to the topic.) Medicaid expansion would have allowed an increase in healthcare coverage for low-income adults without children. With an increase in the number of patients having healthcare, hospitals would be less likely to have unpaid bills, meaning fewer debts and the ability to stay afloat.